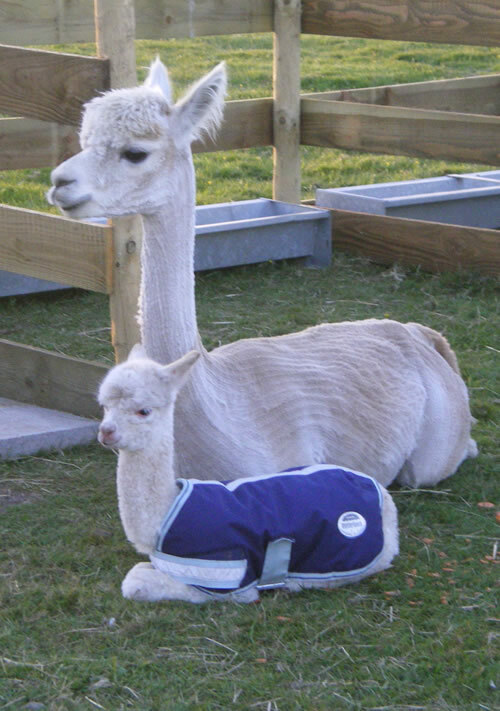 In September 2008 – I lost my first beloved male alpaca to Bovine TB. When I got the PM results and was told it was TB I was devastated. At the time all I needed and wanted was to talk to someone else going through the nightmare. I had a million and one questions that I needed answering and only someone going through it would have been able to help. My first call was to BAS (British Alpaca Society) who had very little information on the subject despite at the time they told me 14 other alpaca farms were under restriction to TB. I asked them to put me in touch with a fellow sufferer as I needed advice and support as there was no information available to me. They never put me in contact with anyone and I felt I was the only one this has happened to and I felt very alone and totally isolated. For the past 2 years I have been Regional Group Welfare Rep and was therefore surprised I hadn’t been informed of how many losses there were to TB nor how we can deal with the problem. We received over 20 emails from them on Blue Tongue but none on TB. I have questioned them many times on this and they still haven’t explained why. When DEFRA first visited me – I was shocked that we can refuse them entry – we can refuse to test – and even if I agreed to test – I can refuse the cull of any positives. I didn’t refuse them entry – I agreed to test because I wanted to know if any of my others had TB but I also wanted this disease out of my herd. They asked me for all animal movement records. We don’t have to keep any – we do not have to keep any records of animal movements nor do we need to obtain any license to move our animals around we basically have total freedom to do what we like and don’t have to keep any records on where are animals have been – who they were mated to or what shows we attended so in other words total freedom to spread disease around the country without any documented tracing. I do keep my own records and I gave DEFRA my full history of where my animals came from where they have been mated etc. Tracings and direct contacts can not only refuse to test but they are not even put under restriction unless the traced death occurred within 3 months. The tracing to my farm even threatened me with legal action if I mentioned her name. I notified BAS about this and they did nothing. I suggested they refused to register her animals or her stud services but this fell on deaf ears and they refused to get involved. I assisted BAS giving them all my data - numbers lost – symptoms etc and they refused to print my article in their glossy magazine. From October 08 I pestered BAS to call a meeting to bring together those affected so we could share information and this was held in June in Bristol. Following that meeting and my many appearances on local TV and local press telling my story I eventually managed to make contact with 8 other Alpaca owners and 2 llama owners affected by TB some under restriction at the moment others have been through the process and are now clear - but this wasn’t until June 09 so I went 8 months with very little information other than making my farm badger proof nothing about what you should do if you become infected or recommendations on preventing the spread from one alpaca to another within my herd. From my fellow TB contacts I began to gather their data – their symptoms - their timelines – the numbers lost – skin test results and the wealth of information gathered has been invaluable to not only myself but to others especially to newly infected herds and current herds under restriction. I compiled this information, and wrote an article for BAS to put in their magazine but they refused to print it nor have they released the information that I gave them to its members. What I soon realised was that our stories are so very similar and the skittle effect we are experiencing – of one loss after another over a short period of time shows just how highly contagious this disease is and how quickly it passes from one alpaca to the other. They can carry TB for years before succumbing to the disease but once one goes down – then others tend to follow in rapid succession. At the time of writing this article I have lost 4 of my group of 7 boys. I have been through 2 lots of skin testing and had negatives then had to watch my animals fall ill and then have had to make that painful decision to euthanise. My loss of 4 is nothing in comparison to some others. As of August 17th 2009 between the 11 in our group we have lost 103 camelids to Bovine TB. One of our group has lost 30 of their herd and has been advised to cull the remainder of their herd. .Many alpaca owners are deeply attached to their animals, and the distress of losing them one by one in an exorable and macabre domino effect is terribly distressing. Many people do not want it mentioned about the skin test being inaccurate but I totally disagree because when my entire herd of 18 were negative on the first round of skin tests I thought I was in the clear – I even celebrated with opening up bottles of champagne and I felt the weight of the world had lifted from my shoulders. I looked at the next skin test to be carried out 90 days later was just a mere formality and all of this was behind me. How wrong was I? Within weeks of the first round of negative tests I had an alpaca develop a cough – no other symptoms – no weight loss - nothing – I thought to myself it cannot be TB he has just had a negative skin test. My vet came out treated him for bronchitis etc and the coughing stopped... On the next round of skin test he came up as a positive – all my others negative. I agreed to have him culled and the PM came back and he was riddled with TB. – My life and the way I did things from that point changed dramatically. 2 weeks after the second round of skin tests another one of my herd Pablo developed a slight cough. Even though he had been through 2 rounds of skin tests and tested negative I knew now not to pay any attention to the skin test and I isolated him with a mate. Vet treated him for bronchitis etc but his cough didn’t improve – he had no weight loss – was eating all his feed – no symptoms at all other than a cough and bouts of hiccups. Having now formed the support group and was in contact with others – I received an email from one of them stating that his biggest regret was he never did anything sooner about his female that had developed a cough. But why would we when no article has ever mentioned the skin test gives numerous false negatives and lets face it alpacas can develop a cough without it being TB.